when writing this article, we express our deep satisfaction at the news that we are able to convey to you. Congress held in Levico Terme (Italy) “The new European health – Cures for everyone without boundaries – Prospects for the development of Cures” – on 8-9 May 2009, organized at the request our and our pro- active participation by the Autonomous Province of Trento and the Municipality of Levico Terme has reiterated, with a lot of appreciation, that the proposal for a directive of the European Parliament and the Council of the EU regarding the implementation of Patients’ rights to transnational health treatments submitted to the Commission on 02/07/08 has been approved by the EU during the first reading Parliamento session 23.04.09. It was checked and infinitely abou satisfied that the art. 7 Directive – about treatments that are not received in hospitals – explicitly allows access to spa treatments, without preventive authorization, with the right to reinboursement expenses these costs if such treatments are not recognized by the country of origin and the country where such treatment is provided. “National contact points” – art. 12 Directive – become very important as the information provided for the proper understanding and assessment of the characteristics and quality of each individual health and thermal structure, so that free choice It is supported by an appropriate level of information. 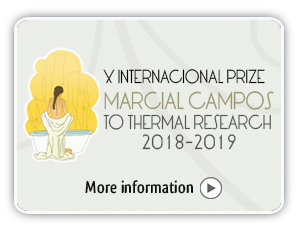 Within this framework, which paves the way for an infinite number of actions, there is a need to describe each thermal structure in more detail, so it will be more competitive when compared to other spas in other Member States. It is reasonable to expect that final approval by the European Parliament and the Council will be in late 2009 or early 2010. The way is clear and the direction is almost irreversible and a dream that could have been seen as a utopia, it will soon make reality. Hydrotherapy will be visited by everyone in a Union of 27 states and 500 million people. We would like to say a few words in a long process started in 2002 when we decided to aim for a “model Hydrotherapy” to be analyzed taking into account its history, its current situation and its future. The European framework was considered the most important in terms of becoming a benchmark for other experiences in other geographical areas, being also the place of life of 500 million people in the 27 EU Member States. We agreed on two events that were fundamental to mail the strategic develompment the Hydrotherapy: Levico Terme (Italy), October 14-15-16; Cuntis (Spain) – 11/12/13 January 2008. Clearly success would not have been possible without the involvment of all. We would like to thank in particular the EU member Parliament, Braghetto Iles (Padua, Italy), who thanks to his strong commitment was essential to achieve all the desired results. We need to continue to stimulate a great effort by all EU institutions, in particular the members of the EU Parliament, with a view to final approval by the European Parliament and the Council of the EU, a provision which is essential for the civil growth of all European citizens. It is presented below in Table Levico Terme, approved at the end of the work of Congress. We will keep you informed of all developments. Participants in the National Congress held in Levico Terme (Italy) “The new European health – Cures for everyone without boundaries – Prospective development Cures” – on 8-9 May 2009 and organized, on behalf of the Autonomous Province of Trento, the National Association of Thermal Municipalities, the National Federation of Councils of the medical professions, the Italian Council for Tourism, OMTH (World Organization Cures) and the World Forum of Thermal after a complex debate, were informed of the fact that the European Parliament had approved in its first reading on 23 April 2009, the Directive on the application of the rights of citizens to access transnational health treatment. This approval establishes the right of citizens to access health treatmens, as no cure hospital – in different EU countries. In particular, the directive clarifies the rights of citizens to obtain in another Member State, treatments and related reinboursement fixed and common principles for all national health systems in the EU, creating a framework for European cooperation in some sectors, such as the recognition of medical prescriptions issued in other countries. The directive respects national competences regarding the organization and delivery of health treatments. In particular, part of the Directive must be interpreted as to compromise the fundamental ethical choices of Member States. Participants at the conference coincided with satisfaction the fact that art. 7 of the Directive – no cure-hospital Directive – about treatments that are not received in hospitals – explicitly allows access to spa treatments, without preventive authorization, with the right to reinboursement costs of these expenses, if such treatments are recognized by the country of origin and the country where such treatment is provided. The “National Contact Points” become very important as the information provided for the proper understanding and assessment of the characteristics and quality of each individual health and thermal structure, so the Free choice is supported by an appropriate level of information. We are aware of the strategic importance of the Directive for the lives and rights of all European citizens and the consequent need to better define our health and thermal systems, so that will be more competitive when compared with other member states and we hope that the European Parliament and the EU Council soon and finally approve the Directive, which is fundamental to the growth of EU importance. The promoters and sponsors of the congress decided to promote systematic biannual meetings to discuss the topics proposed in the directive, drafting, where appropriate, new proposals to encourage European develompment Hydrotherapy an organic and balanced way.